Field Marshal The Lord Guthrie of Craigiebank GCB LVO OBE DL is a former Chief of the General Staff (1994-1997) and Chief of Defence Staff (1997-2001). His military career saw service with the Welsh Guards and the Special Air Service. Lord Guthrie is a crossbencher in the House of Lords and a member of the Top Level Group of UK Parliamentarians for Multilateral Nuclear Disarmament and Non-proliferation. He is President of several charities, including the Federation of London Youth Clubs, Action Medical Research, the Progressive Supranuclear Palsy Association, Soldier On! and the Army Benevolent Fund. He is also Patron of the homeless charities Cardinal Hume Centre and Caritas Anchor House. He is Chancellor of Liverpool Hope University and a Deputy Lieutenant for Dorset. He holds several non-executive directorships and has contributed to a number of books in the fields of ethics in modern warfare and public sector management. 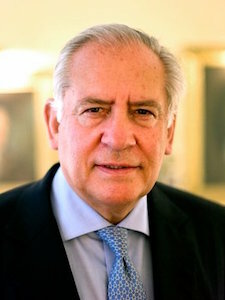 Edward Gould spent his career in education and retired as Master of Marlborough College in 2004. He was Chairman of HMC in 2002 and this was accompanied by work for the Independent Schools’ Council (ISC) serving on the Governing Council after which he was elected Chairman for 2006/7. 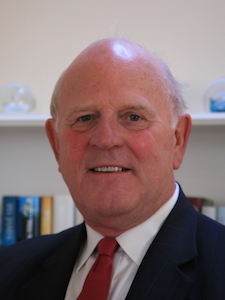 He was co-Founder and Chairman of the Boarding Education Alliance for independent and state schools, a member of the 14-19 Reform Working Party under Sir Mike Tomlinson, and a Board member of the Qualifications and Curriculum Authority (QCA). More recently he was Deputy Chairman of the English-Speaking Union of the Commonwealth and Chairman of the United Learning Trust which is a multi-academy sponsor. 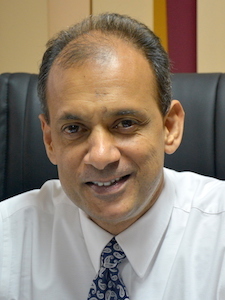 He served on the 2005-2010 government’s Ministerial Task Force on Gifted and Talented Education and the National Council for Educational Excellence. 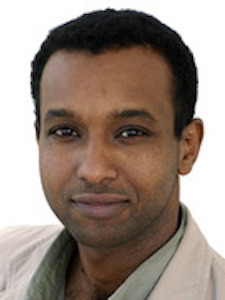 He is currently Chairman of Harrow International Schools Ltd.
Rageh Omaar is ITV’s International Affairs Editor, responsible for covering major news stories across the world. He is also the Presenter of “On Assignment”, ITV’s new Current Affairs programme. He was previously Senior Foreign Correspondent for the BBC, where he covered the 2nd Gulf war from Baghdad, before leaving in 2006 to report and present for Al Jazeera. At Al Jazeera English, Rageh presented the nightly weekday documentary series “Witness”, until 2010. “The Rageh Omaar Report”, first aired February 2010, was a monthly investigative documentary in which Rageh reported on important international current affairs stories. From 2013, Rageh became a special correspondent and presenter for ITV News, reporting on a broad range of news stories, as well as producing special in-depth reports from all around the UK and further afield. In 2014, he was promoted to International Affairs Editor for ITV News. As a Somali-born British journalist and writer, Rageh’s latest book “Only Half of Me” deals with the tensions between these two sides of his identity. Shehan Ratnavale is a former High Commissioner for Sri Lanka to the Republic of Singapore concurrently accredited to the Sultanate of Brunei Darussalam (2005-2008) as well as to the Republic of South Africa concurrently accredited to: the Republic of Angola, Republic of Botswana, Kingdom of Lesotho, Republic of Madagascar, Republic of Mauritius, Republic of Mozambique, Republic of Namibia, Republic of Seychelles, Kingdom of Swaziland, Republic of Zambia and the Republic of Zimbabwe (2011-2014). He also worked with UNESCO as Consultant and Focal Point for the United Nations Development Assistance Framework (UNDAF) and specified programs in Sri Lanka. Since 2014, Shehan has been a Programme Director for Sri Lanka’s Coordinating Secretariat for Science Technology and Innovation (COSTI), and is Chairman of COSTI’s National Coordinating Council for International Partnership in Science Technology and Innovation. Shehan’s diplomatic career was preceded by stints as a banker at HSBC, ANZ Grindlays Bank and Pan Asia Banking Corporation.